Description Sunshine and warmth continue into September. Upwelling is higher, yet low Fraser River flow reduces the likelihood of low-oxygen water moving into Puget Sound. 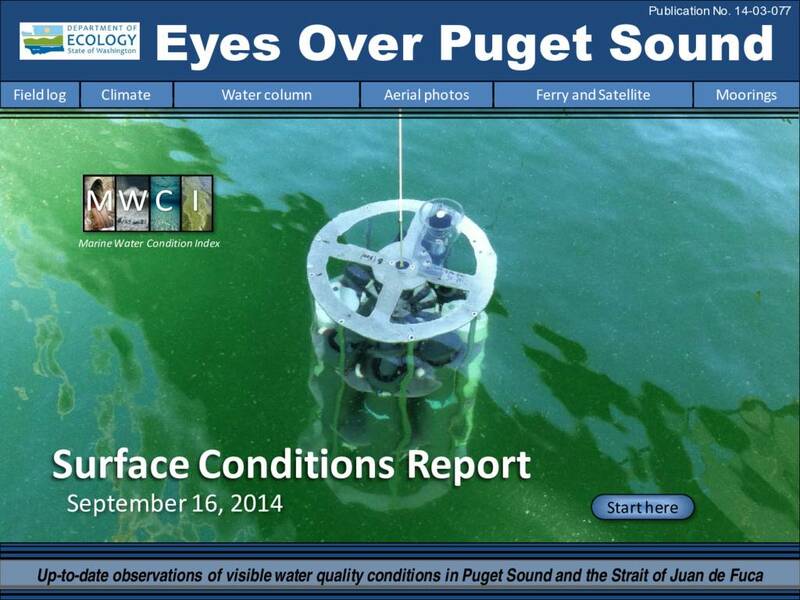 Dissolved oxygen remains relatively high in Hood Canal and is lower elsewhere. Satellites show relatively warm water in the Strait of Georgia and Whidbey Basin and an extensive offshore bloom. Water temperatures also remain high in South Sound were red-brown plankton blooms and large smacks of jellyfish adorn the water surface. Explore what frequent blooms in smaller bays can tell us.